My wife called me in a panic the other day. There was a flood under the kitchen sink. So When I arrived home I found that the drainage pipe was corroded and needed to be replaced. 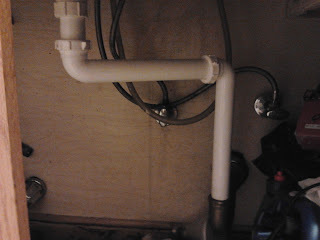 I have lived in this apartment for 5 or 6 years, and this has been replaced at least once since I moved in. 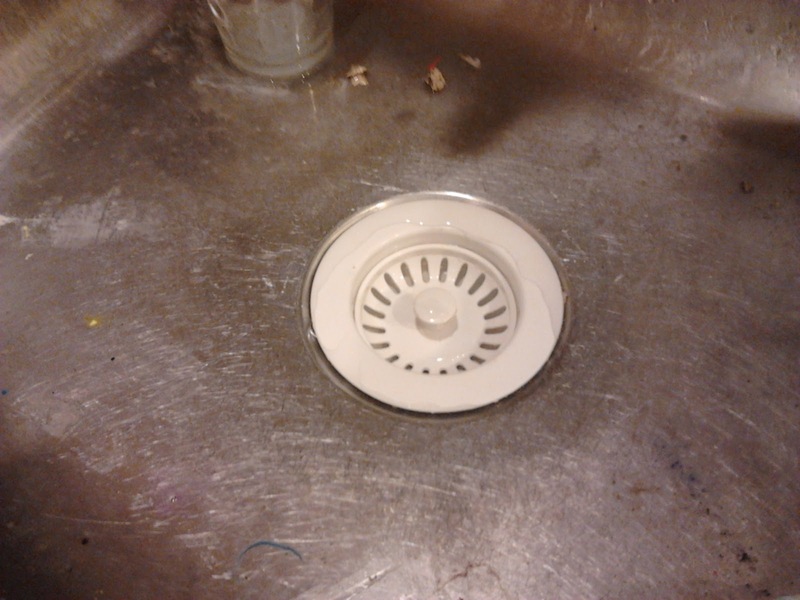 Due to the fact that the drainage runs almost horizontally from the strainer to the trap I decided that I would replace it with plastic instead of brass. 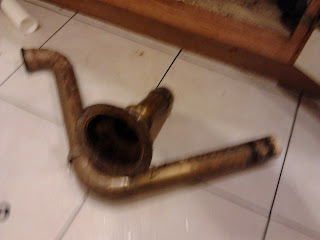 This should eliminate the potential for the pipe to rot out again. Hole clearly seen thru top of drainage elbow. 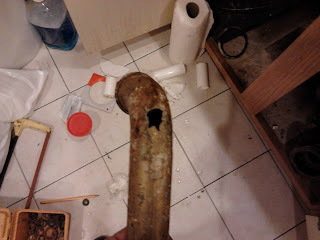 The rotted out brass drainage elbow. Replaced strainer, tailpipe, and drainage elbows. 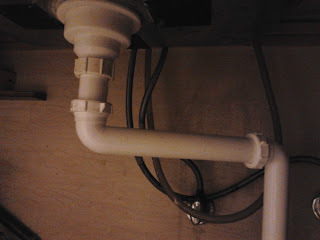 Another view of newly installed plastic drainage piping. 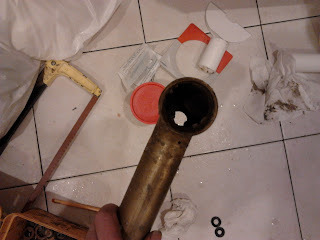 while I was replacing the drainage pipes. 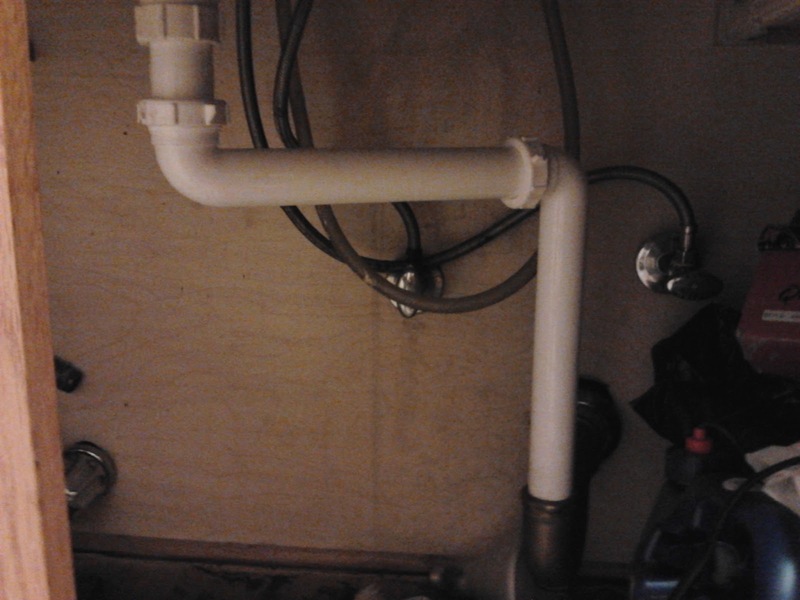 Old drainage pipes and strainer basket.